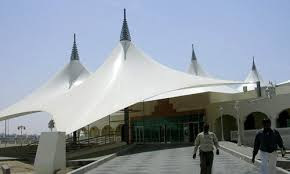 Tensile Fabrics Membrane Fabrics Wholesales and Retails.We Are The Tensile Shades, Membrane Fabric Dealers and Exporters. Commercial 95, Polyfab USA, CommShades, HDPE Knitted Fabrics, Austrilian Gale Pacific, Germany Mehler PVC, Polymer PVC, PVDF, FR, Tensile Fabrics, Shades Fabrics. Trading and Wholesalers, Retails, Sales and Exporters All Over the Globe.Gale Pacific HDPE Commshade Polyfab Commercial 95 Knitted Fabrics Wholesalers Suppliers Expoters from UAE. 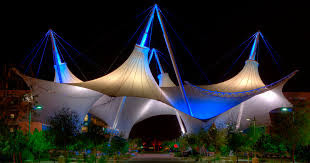 Exporters and Supplier of tensile fabric Materials, tensile fabrics Membrane Fabrics Tents Fabrics Shades Fabrics Wholesales +971568181007 / +971505773027. HDPE Commercial 95 Fabric Trading. 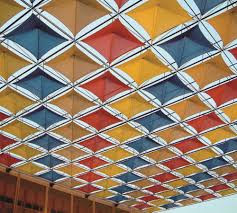 Gale Pacific HDPE Commshade Polyfab Commercial 95 Knitted Fabrics Wholesalers Suppliers Expoters in UAE. At Duha Tents 0505773027 we have large stocks of aluminium profiles and extrusions for all forms of tent and shading structures. 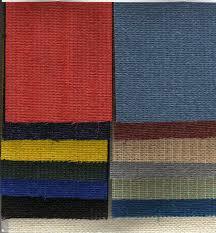 we supply two types of webbing. Both are UV treated, polyester yarn with high tensile strength. Type 1 (available in black and beige)is a five row webbing with 2.5 tons breaking point. High strength Industrial adhesive compatible with modern processes capable of providing greater flexibility ion component design. Mehler Tex-nologies are an international market leader in the production of coated fabrics. Based in Germany they have been developing & supplying high quality textiles globally for over 60 years, and that experience shows. 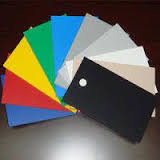 Mehler PVC 550 to 900 gsm. Trading. Polymar is a PVC coated polyester fabric coated both sides, which, due to its low weight, is especially suited for small and medium membrane designs. *up to 10 year warranty. Gale Pacific HDPE Commshade Polyfab Commercial 95 Knitted Fabrics Wholesalers Suppliers Expoters. Mehatop is a membrane made of multi-layer composite material with low-wick yarns in the base fabric. With further PVDF layers ensure the fabric maintains its appearance in even the most extreme conditions. PVC PVDF HDPE Fabrics Trading Sales Wholesales Retails. 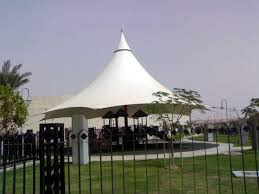 Al Duha Tents 0505773027 is the first specialist distributor of tent and shade materials in the UAE. Formed in 2002, we have established ourselves as the market leader in the region with a focus on customer service, quality products and reliable, consistent supply. We offer a large range of coated and netted fabrics as well as all requisite accessories and machinery, providing a one stop solution for all shading requirements. With our growth we are happy to be associated with some of the biggest brands in the industry, offering outstanding assured quality at the best prices. In order to further the needs of our customer as part of our complete solution, we also provide turnkey solutions for the welding and supply of all types of structural fabric. Complementing this line we also provide a range of tensile accessories, aluminium extrusion and machinery that provides a comprehensive array of products for any of your engineering requirements. Our ultimate goal, first and foremost, is to serve the needs of our client, whether they are based locally or regionally. In this regard we have developed a network of transport tie-ins to ensure we can get our products to you in good time wherever you are in the region. This, combined with our well stocked warehouse and experienced logistical network, means we are the reliable choice to get you your material requirements in expedited time. It is our mission to supply our customers with the best in the industry; in order to do this we are continuously expanding our range of suppliers and working with the market leaders in the sector, to ensure we not only meet but exceed your requirements. At Al Duha Tents Trading all our products come with life expectancy guarantees and all requisite safety and fire standards to ensure peace of mind. Based out of Australia, are the premier global manufacturer of shading products for commercial and Industrial use. Renowned for producing highly durable shade cloth capable of enduring extreme temperatures and providing maximum sun protection making their products highly suitable for all kinds of tension shade structures. Al Duha Tents trading, has been an official distributor for Gale in the UAE for over 10 years, and are proud to be one of their largest Retailers. We at Al Duha Tents strive to offer our customers the best products available globally, and Gale Pacific are undoubtedly the global premium supplier of shade cloth. 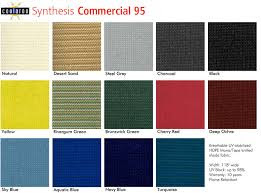 Commercial 95 is a highly durable knitted shade cloth for use in tension structures and shade awnings. The product provides UV protection ranging from 91% to 98%. Commercial 95 is also dimensionally stable and is highly resistant to shrinkage. The fabric is UV stabilized, non-absorptive to resist rot and incorporate three way lock-stitch construction which is fray and tear resistant. Commercial 95 comes with a 10 year UV degradation warranty. Al Duha Tents Trading is happy to offer our customers the full range of 17 colours available in stock. Commercial 95 fabric allied to a thin clear film of PVC to provide Waterproof properties to the knitted fabric. Available in 12 Colours.